Q: Are alarms really effective against burglars and does an alarm sounder going off get a response? A: Quite simply yes! Put yourself in the position of a potential burglar, if a property obviously has a professional quality alarm system would you risk detection or choose a property with no protection. If an alarm goes off, immediately attention is brought to the premises and pressurises the intruder to flee quickly and often empty handed. Q: What is the basic cost of a fully installed burglar alarm for my home likely to be? A: We can supply and install a basic professional grade wireless intruder alarm system in your home from £576-00 including VAT with full 12 months guarantee. We do however offer a free, no obligation survey and quotation to ensure that we offer a system ideally suited to your needs. Q: I have a pet dog, can I set an alarm system whilst allowing my dog to move freely around the house when I am out or when set at night? A: Yes certainly, we can install sensors which will allow most domestic pets to move around freely when set, but still be triggered if a human being is detected. Q: When I go to bed at night can I set my alarm system on the ground floor but be free to move about upstairs without setting off the alarm? A: Yes, we can install an alarm system set up for you to easily choose areas to alarm and areas to not be alarmed or all areas to be alarmed. Q: Our house has an existing alarm system but we now have an extension and a detached garage which we would also like protected, is it possible to do this at a reasonable cost? A: Almost certainly yes, we can offer system expansions and upgrades for most installations. We are always pleased to visit and provide free advice to let you have the options. Q: Will spiders and insects set off my alarm? A: Yes they can do. A correctly serviced system will have sensors properly cleaned but general good housekeeping by removing cobwebs etc helps tremendously. A large spider crawling across a sensor face appears enormous so try to keep the sensors clean. Q: We are in rented accommodation, would we be wasting our money and risk doing damage to the décor? A: Certainly not! We can install a wireless alarm system that can easily be moved, at very reasonable cost, to another property without doing damage to décor on installation or removal. The systems are very flexible and can be adapted to most configurations of property. Q: Do I need to be into technology to operate a CCTV system? A: No, we will install and set up the system in accordance with your requirements, the system will then operate automatically. If your requirements change we can easily adjust the system. Q: Will installing CCTV cameras make my property stand out and appear to have excessive security? A: No, cameras can be very discreet in appearance and record events or they can be very obvious and have a strong deterrent effect. Q: Can I view my CCTV system remotely for example from my office or when away on holiday? A: Yes, if you have broadband available where the CCTV is located and have access to the internet where you are, via a PC or modern mobile phone. 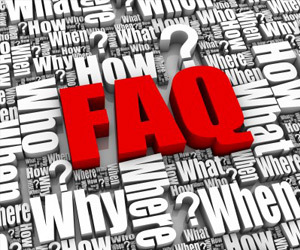 If you have a specific question send it to us by email to info@aurumalarms.co.uk and we will try to answer it for you.